Read reviews, get customer ratings, see screenshots, and learn more about ChoreMonster on the App Store. Download ChoreMonster and enjoy it on your iPhone, iPad, and iPod touch. 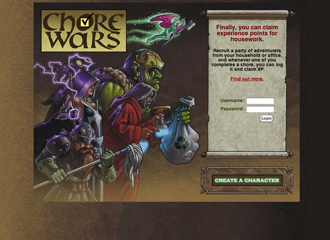 Recruit a party of adventurers from your household or office, and log your chores to claim experience points for them.